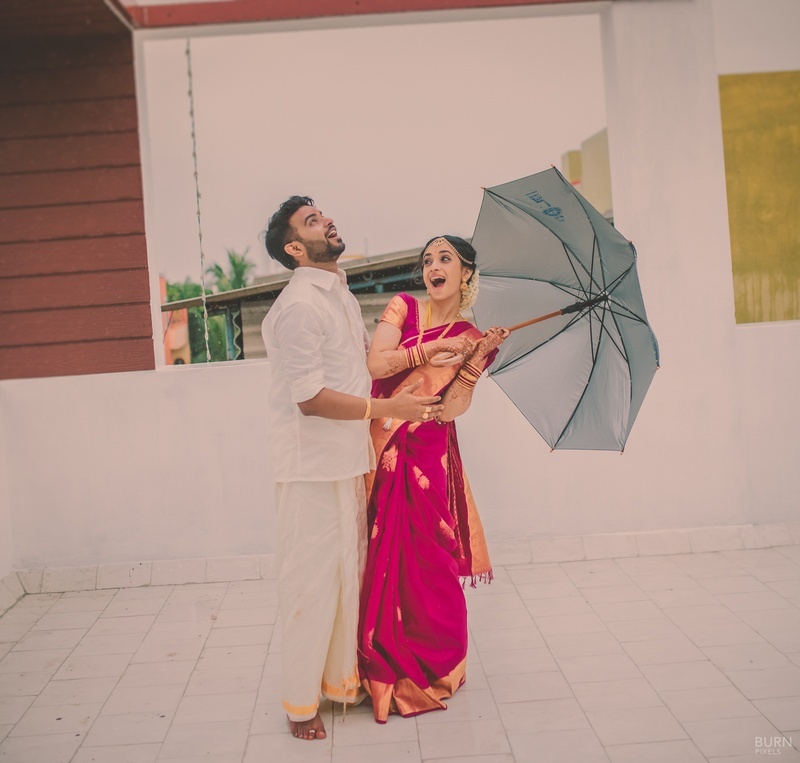 A wedding celebration amidst a storm. 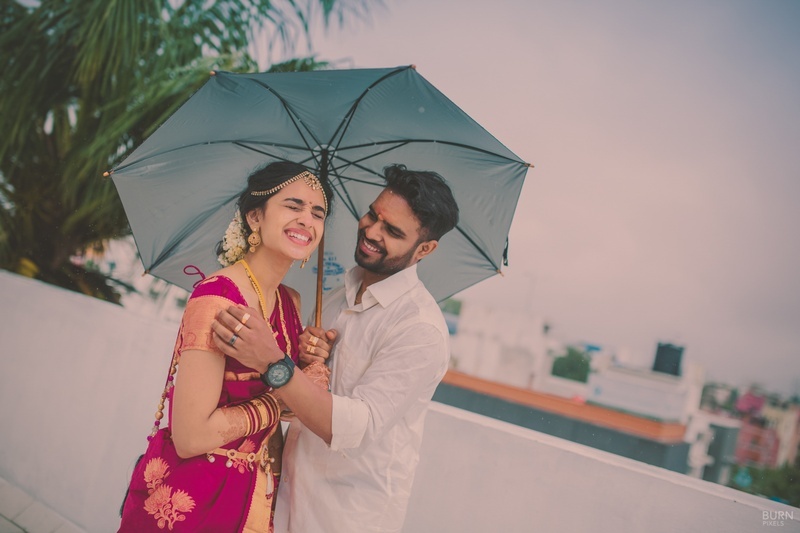 While Chennai city was hit hard with the flood last year, Venisa and Naveen were celebrating the power of love at their intimate wedding held at MK Mahal, Chennai. 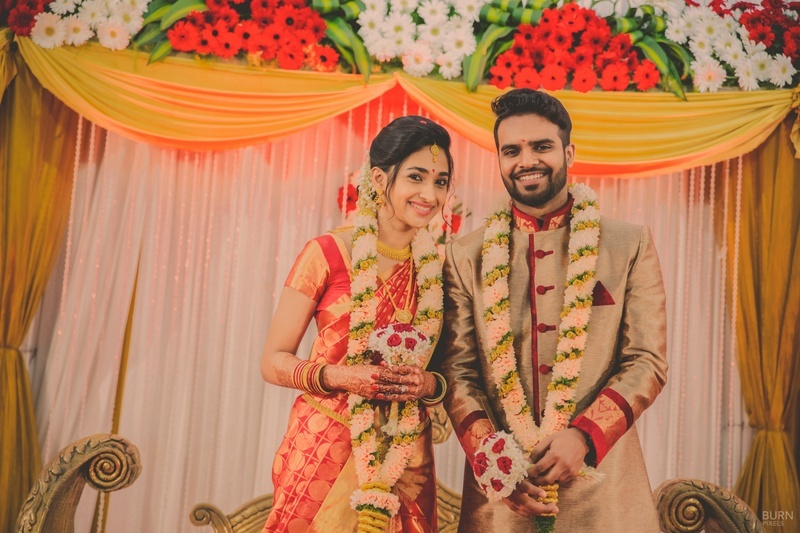 This groom and bride made most of their sombre wedding at MK Mahal with the people who made it through harsh times to be with them. Journey’s that would take minimal amounts of time got stretched to hours! 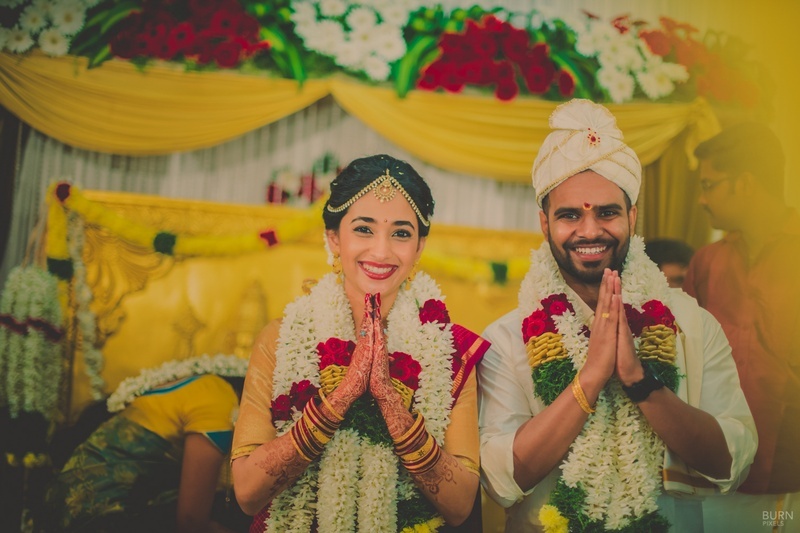 In a situation like that, Venisa and Naveen still had the courage to seal this love in a bond of marriage. 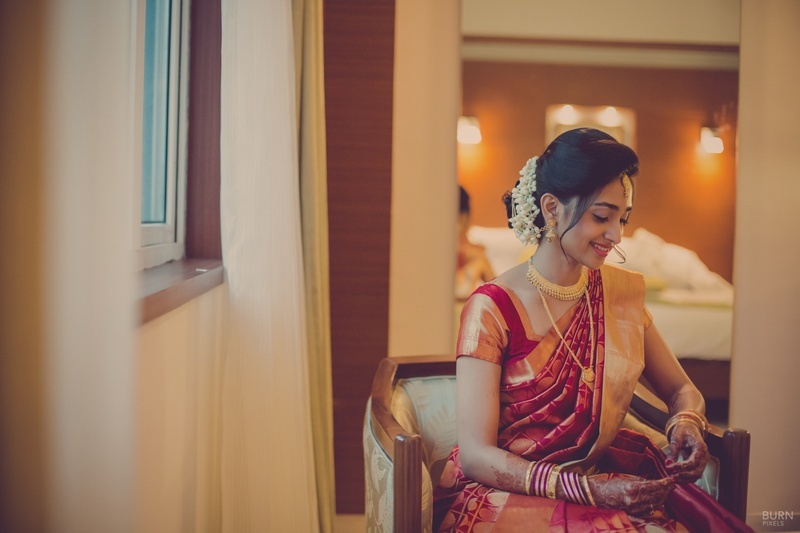 This bride’s stunning choice of Kanjeevaram sarees, gold maathapattis and minimal makeup left us mesmerized. 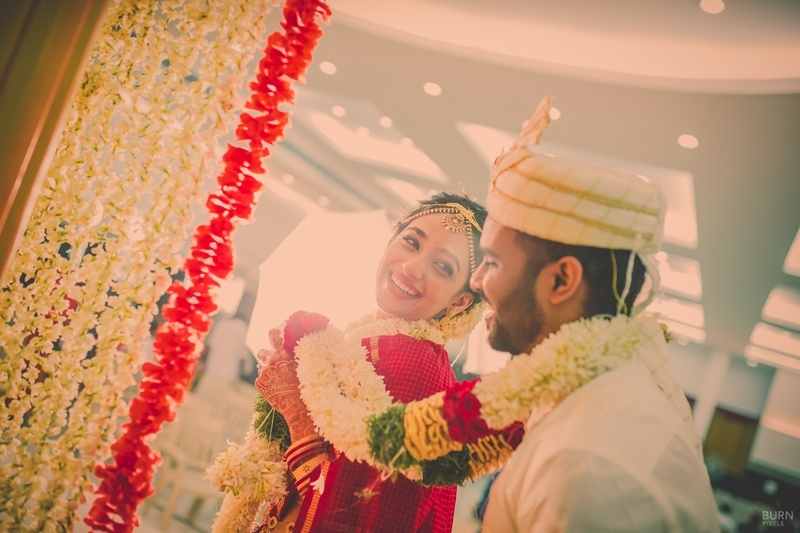 Shot exquisitely by Burn Pixels Photography who captured their special day in all its beauty! 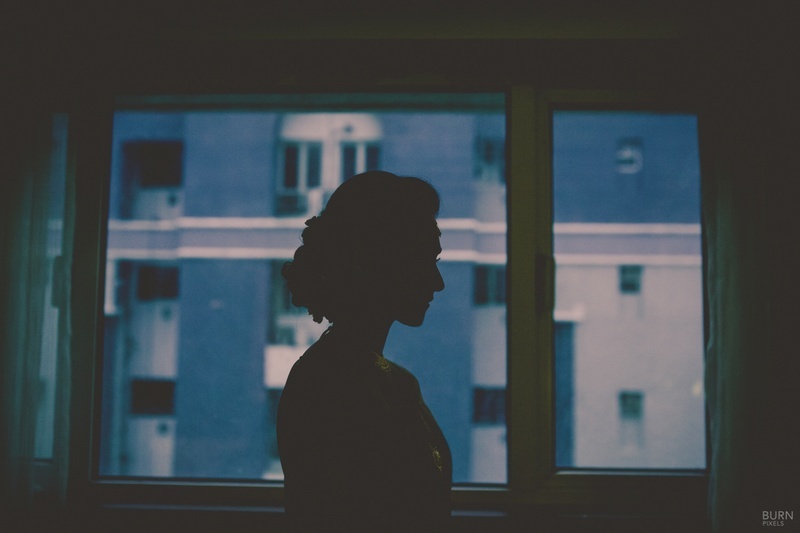 Bridal silhouette Candid Photography Inspiration. 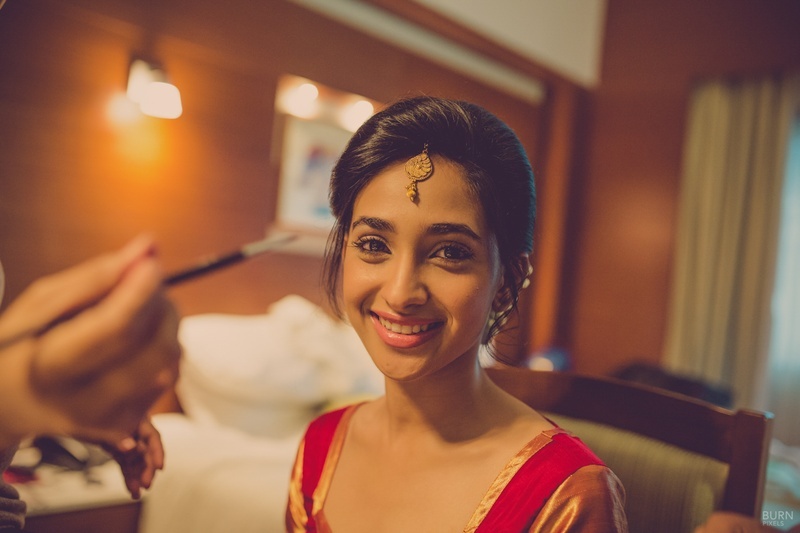 Very beautiful bride Venisa getting ready for her big day. 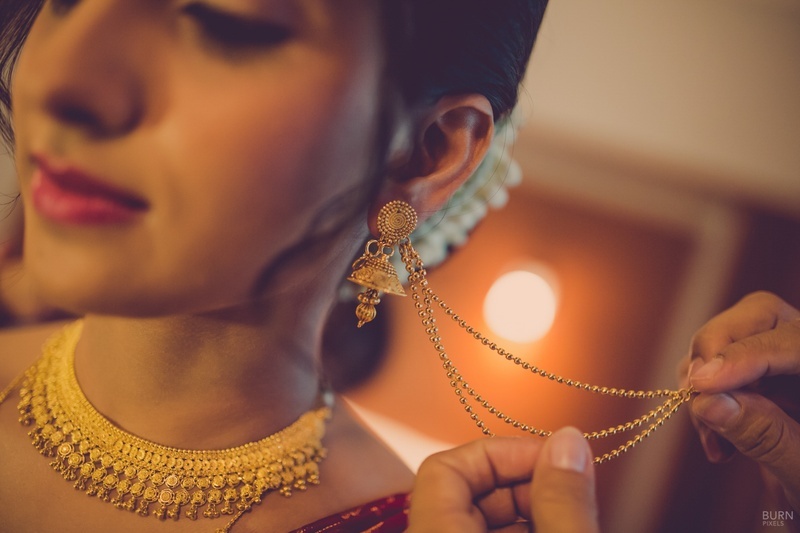 Bride in minimal gold jewellery. 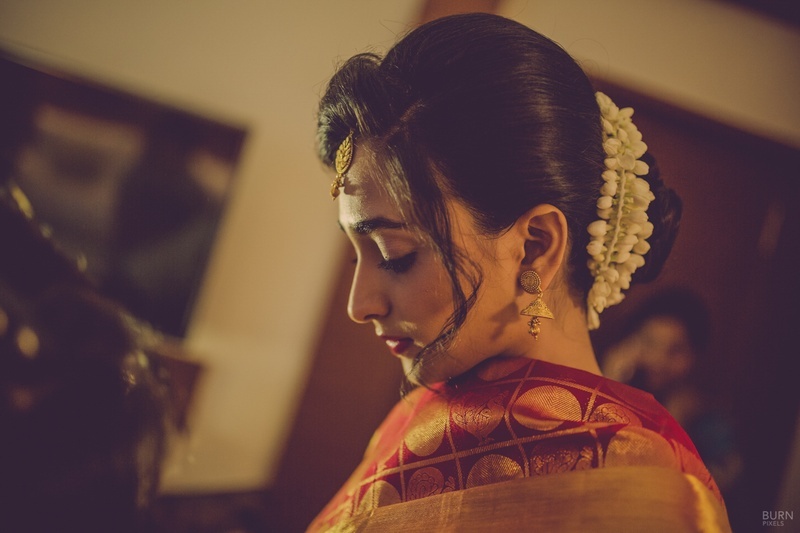 Bride in a natural portrait capture dresses in Kanjivaram red and gold saree, gold jewellery and a floral traditional hairstyle! 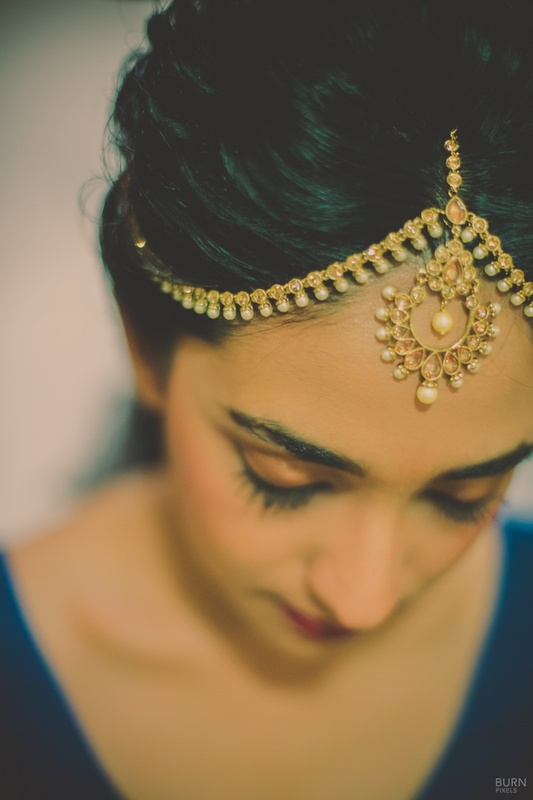 Mogra flowers encase her bridal bun in a traditional style with a gold and pearl hairpin. 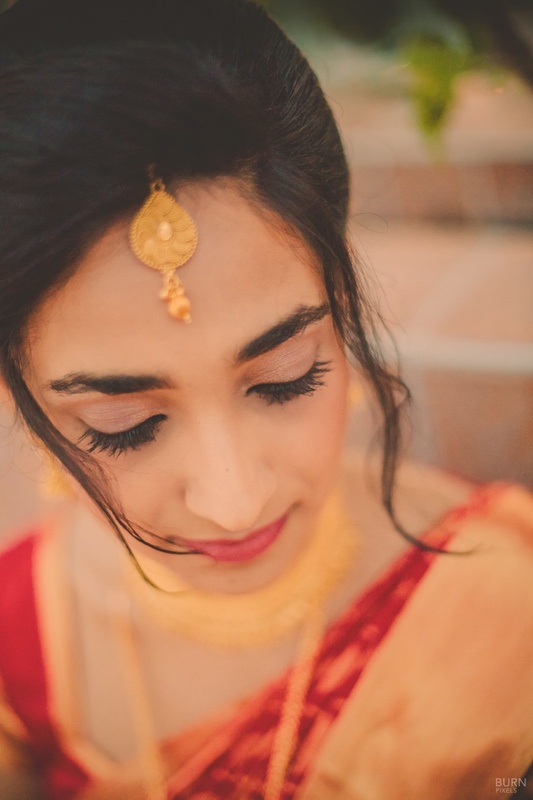 Bride wearing minimal traditional makeup with peach pink shaded lips. 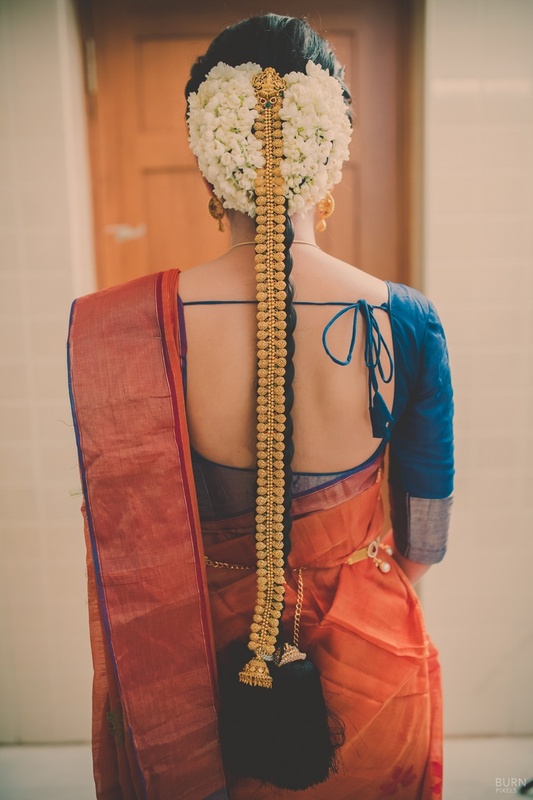 Traditional south Indian kanjivaram red and gold saree with a minimal stylized open back blouse. 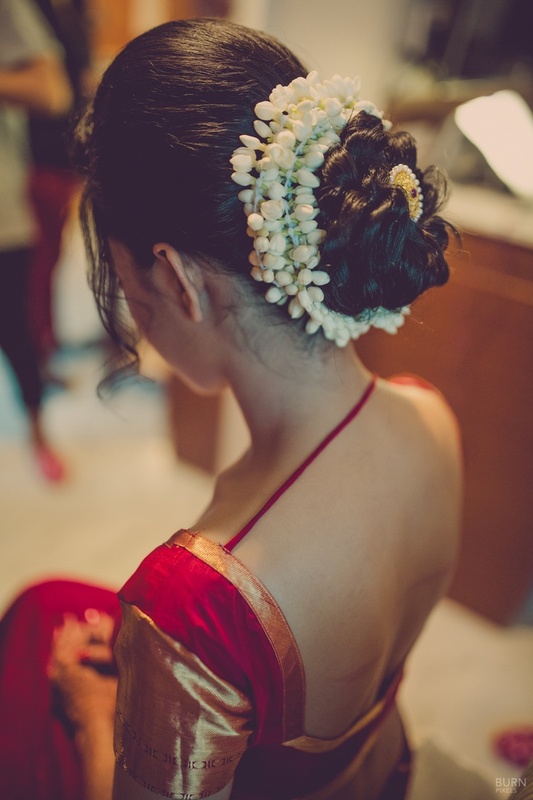 Mogra flowers give her hairstyle a traditional appeal. 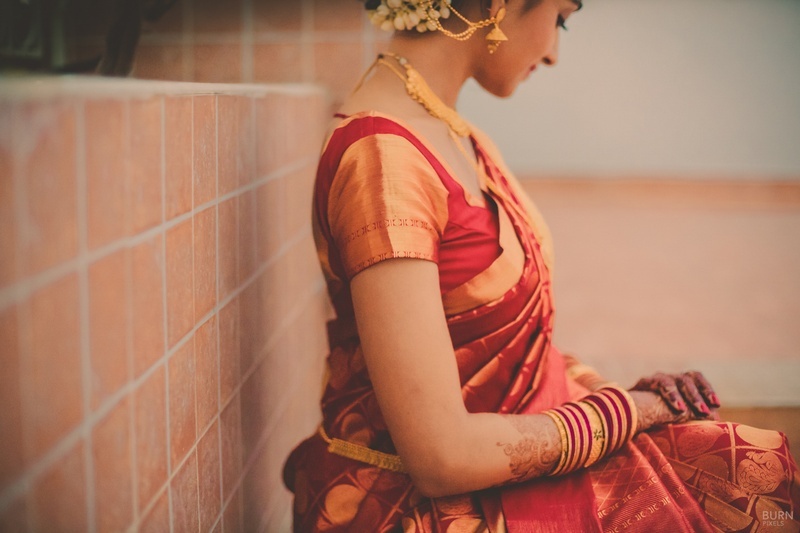 Traditional south indian bride with a red and gold kanjivaram saree along with complementary gold jewellery. 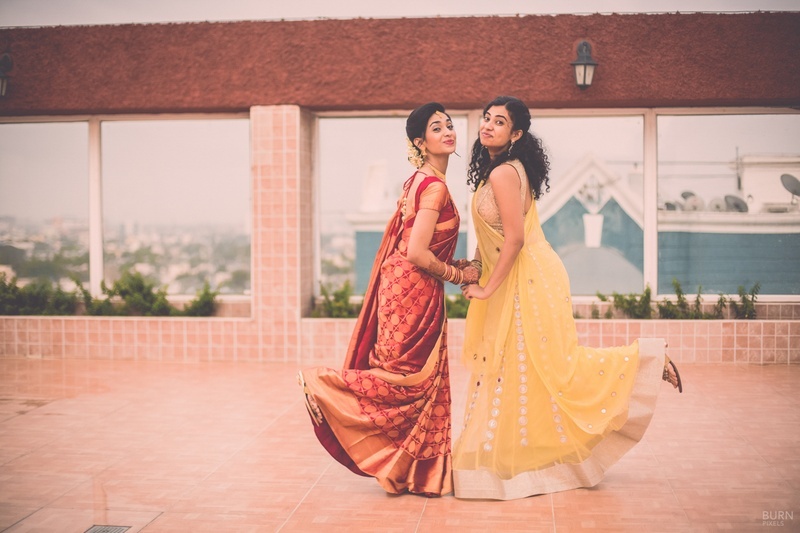 Quirky south indian wedding with the bride and her friend posing for the photographer. 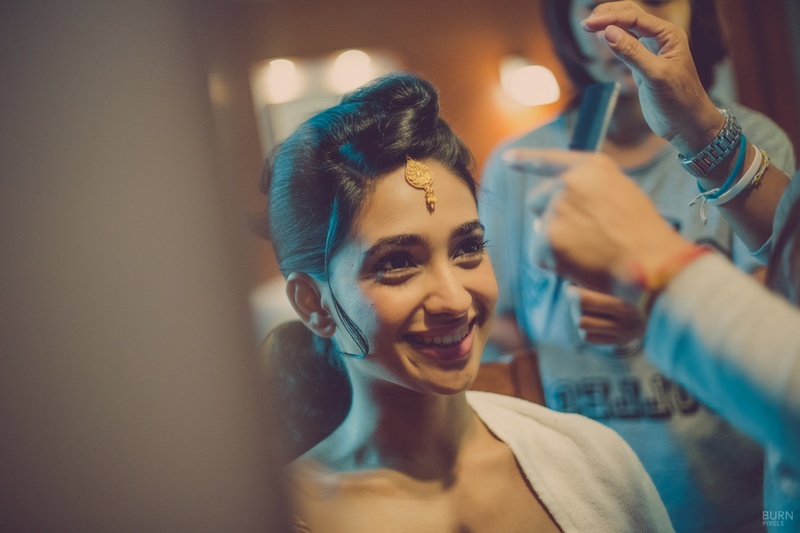 A candid quirky Capture! 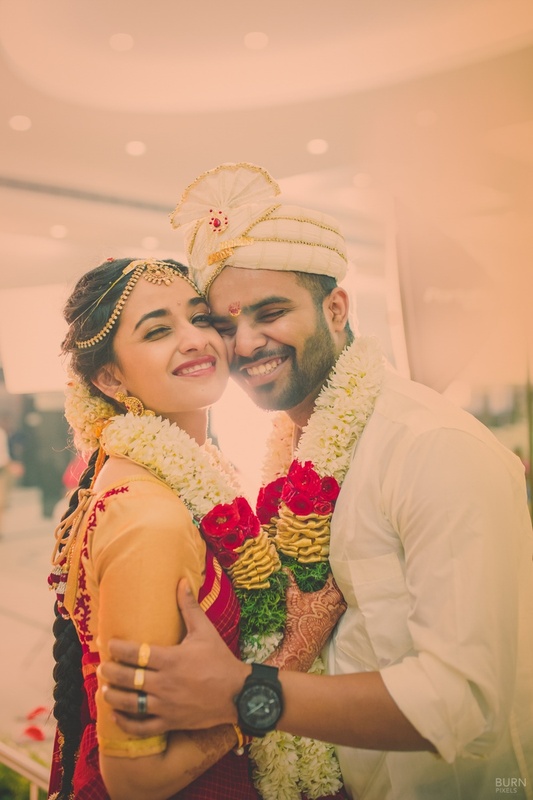 Couple candid capture during the wedding ceremony. 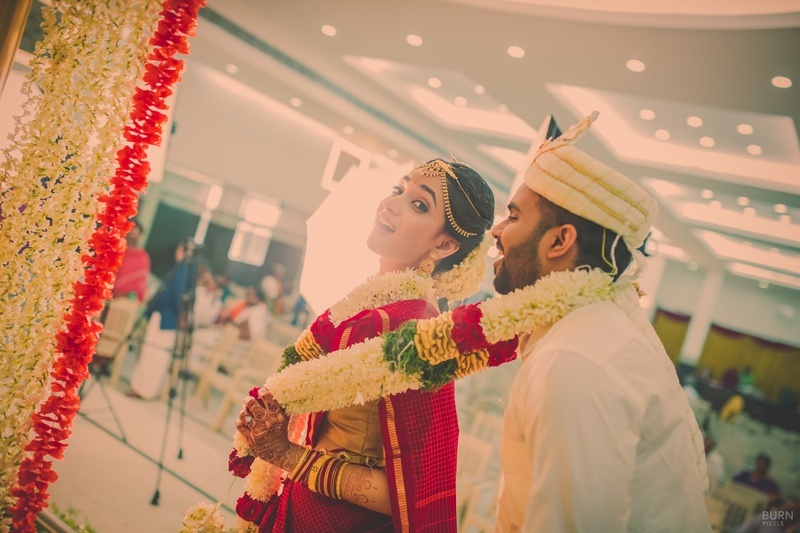 Traditional couple having a South Indian Wedding with tradition fashion kanjivaram saree and gold jewellery. A couple portrait capture. 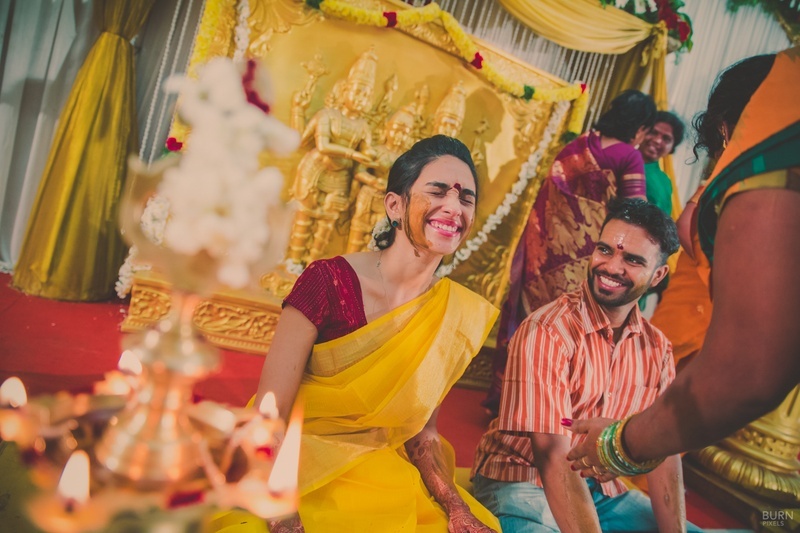 Traditional haldi ceremony candid photography. 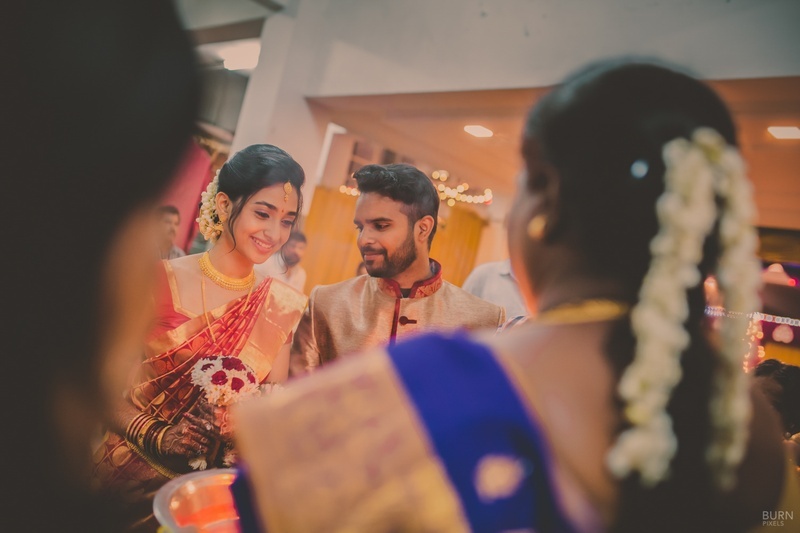 Traditional south indian wedding ceremony ritual candid photography. 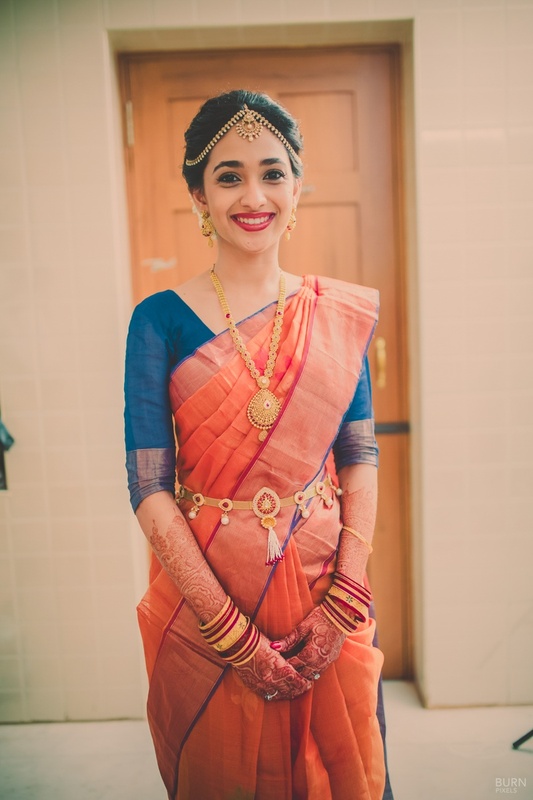 Bride dressed in traditional attire. 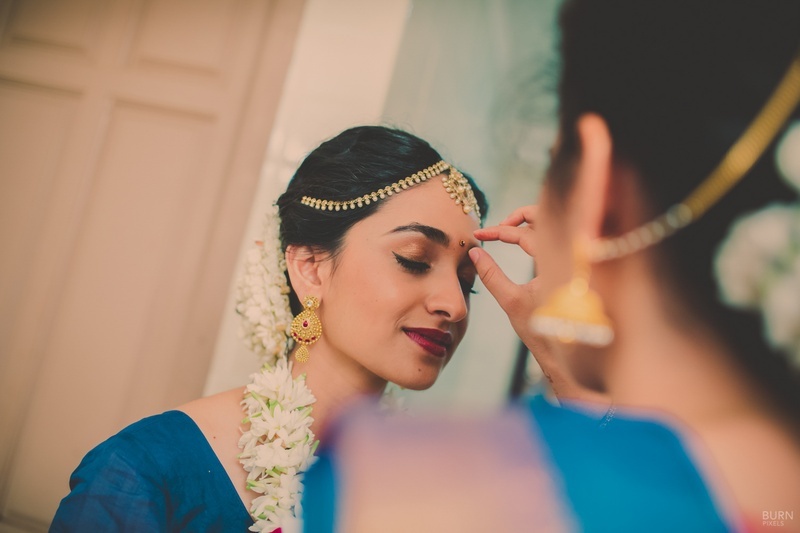 Pretty south indian bride candid portrait with traditional gold jewellery. 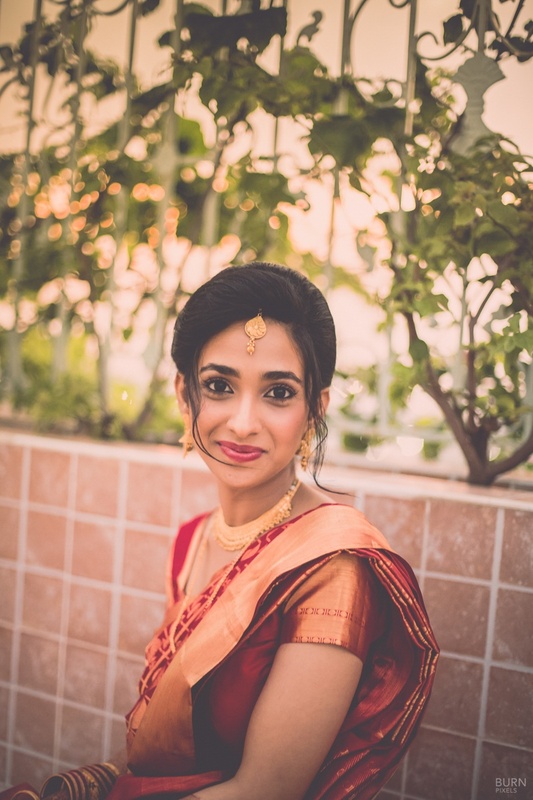 Kanjivaram traditional saree fashion. 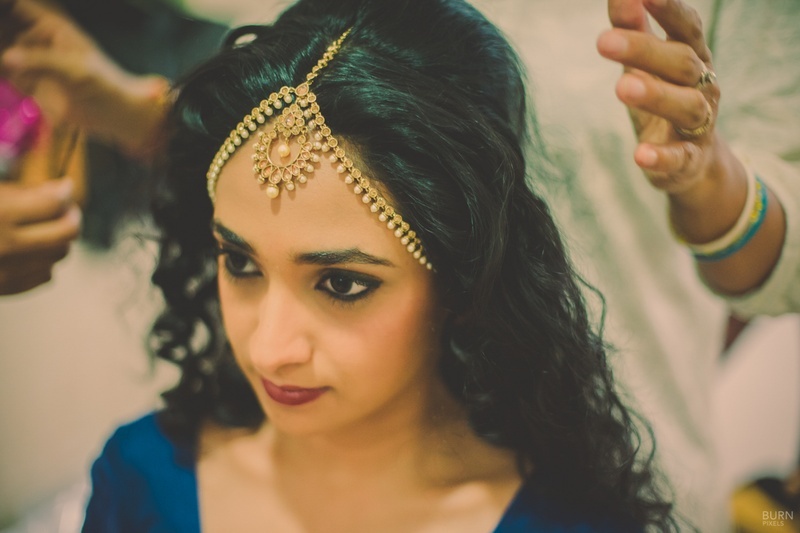 Traditional south indian bride with gold jada jewellery styling her hair! 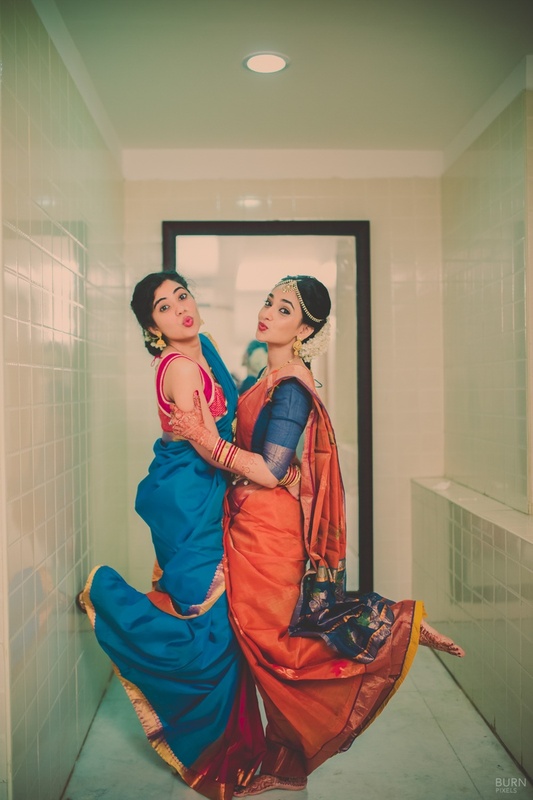 Candid photography with bride and her sister dressed in traditional south Indian wedding sarees. 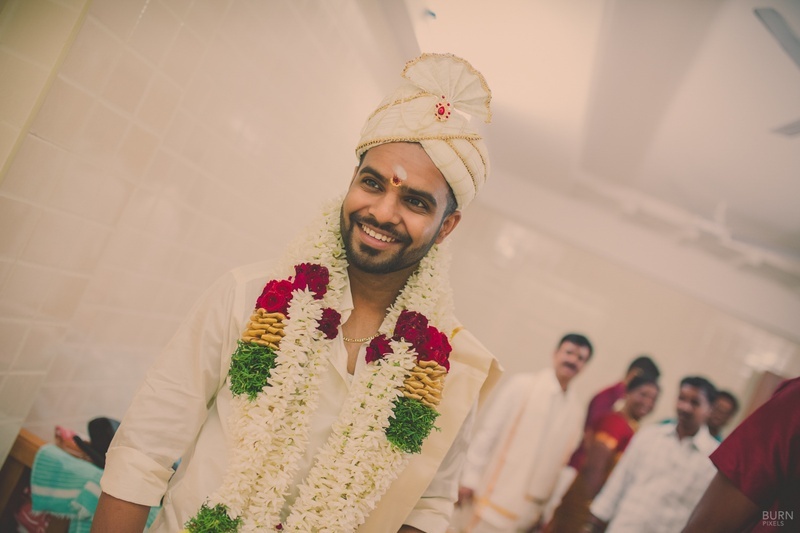 The groom dressed in traditional south indian kurta and lungi with a turban for his wedding. 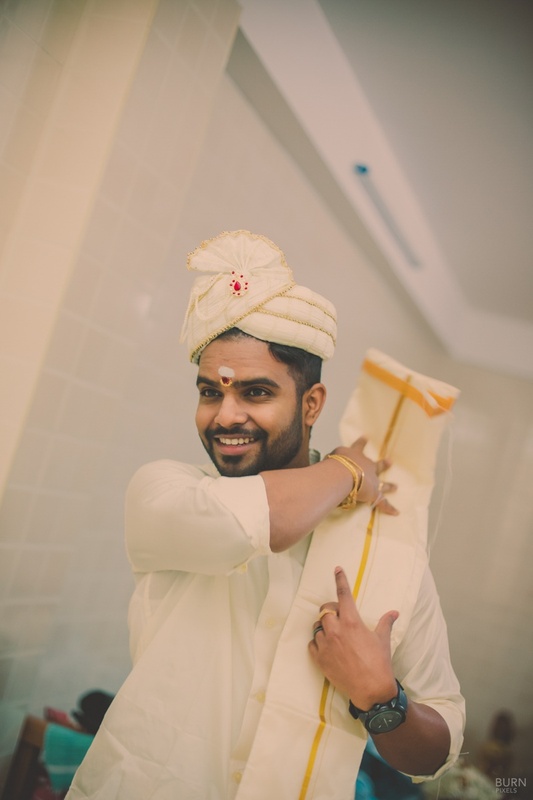 South Indian groom wearing traditional outfit. 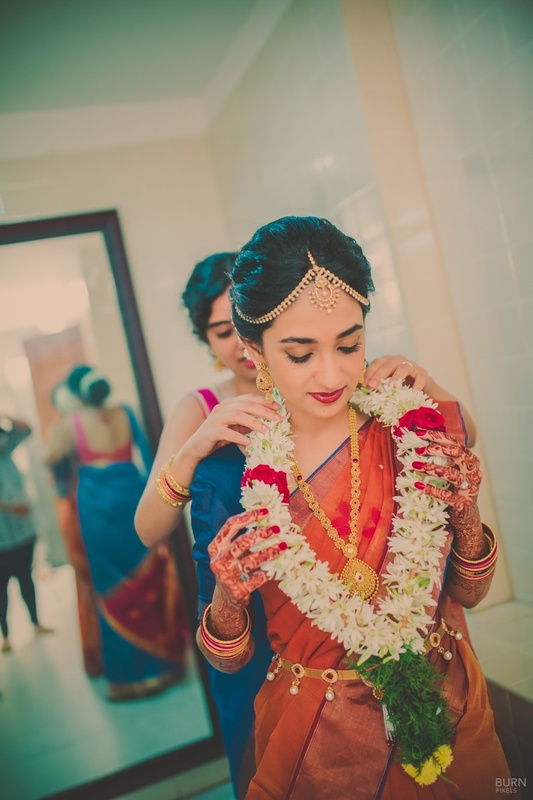 Traditional south Indian bride dressed in kanjivaram saree and gold jewellery. Candid couple photography during the ceremony. 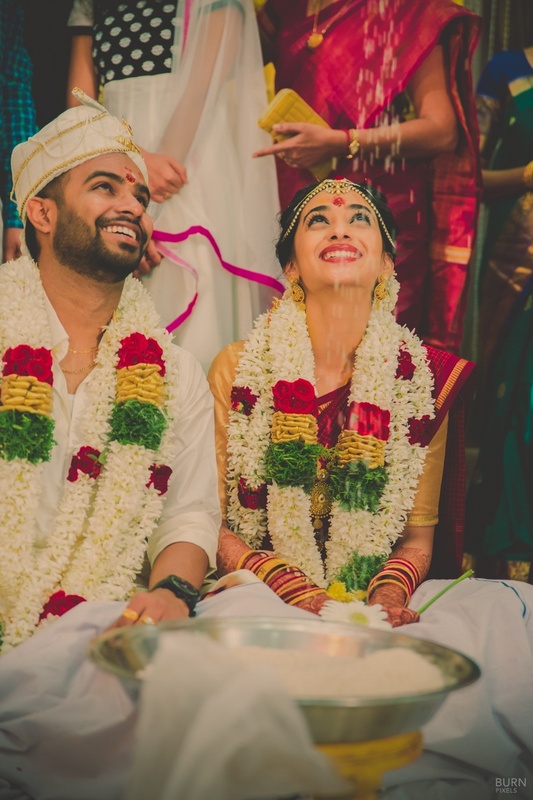 South indian wedding couple photography. 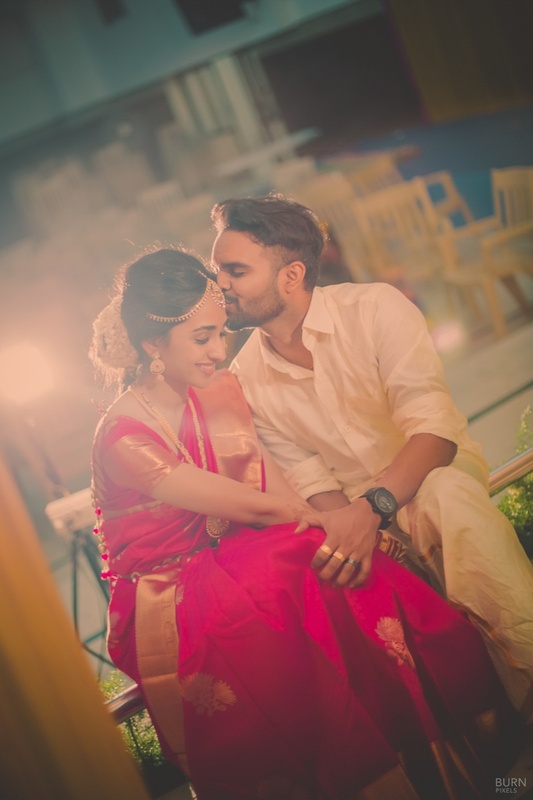 South Indian couple candid photography. 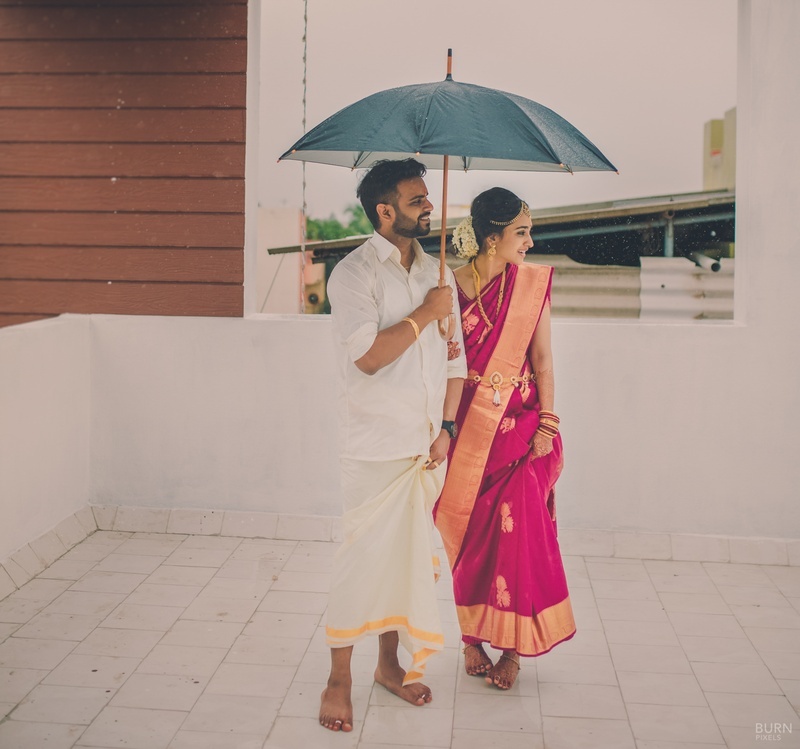 South Indian couple candid photography with an umbrella.